How will people listen to my podcast? Can I submit my show to Apple Podcasts and iTunes, Google Play, and others? Once you've created a new podcast (or imported a podcast) on Pinecast and uploaded your first episode, your show is ready to be heard. Pinecast publishes an RSS feed for your show; this is the key to getting your podcast listed on major directories. 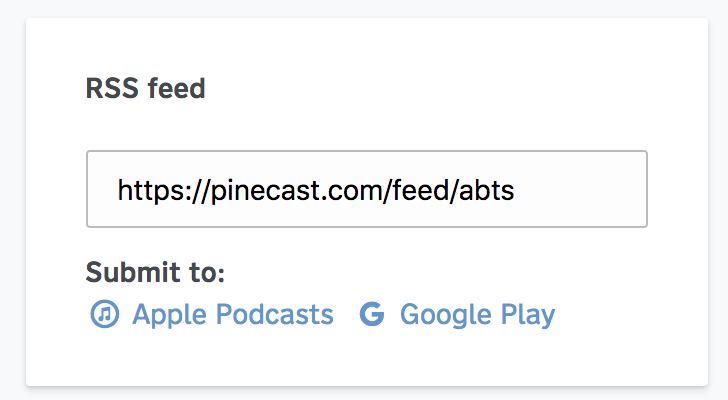 On your podcast dashboard, use the RSS feed section to submit your show to Apple and Google. Clicking the links will take you to the respective portals. Google and Apple will require you to create an account and provide your RSS feed. After an approval process, your podcast will be listed. We also recommend submitting your podcast to Spotify. You can do that by clicking the Settings > Spotify tab on your podcast dashboard. Be sure to read the instructions; you do not need to create an account with Spotify to submit your show. Directories like these will automatically check your feed for updates every day or so, so you don't need to submit your feed a second time. After you've submitted your podcast, listeners and subscribers will begin appearing in your podcast's analytics. Listens from apps, the embed widget, and direct listeners to your audio URL(s) will be included. 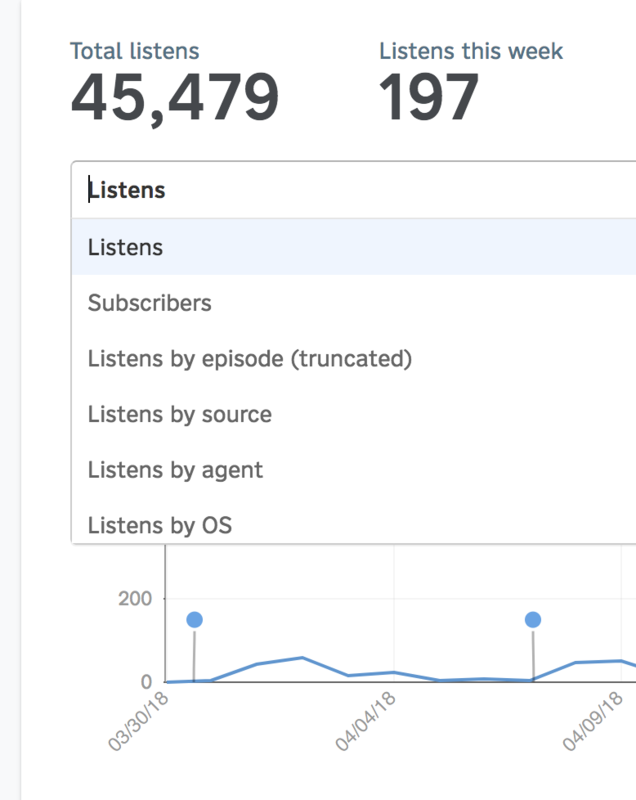 You can see which apps and sources these listens come from by choosing the appropriate analytics view from the dropdown menu.